Write a review for a community that is near and dear to you! 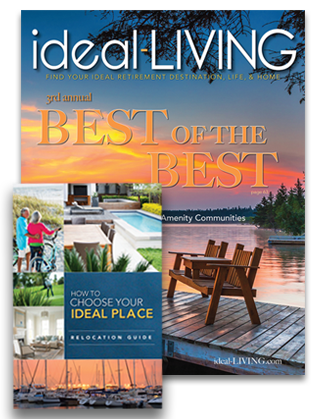 Write a review for these ideal-LIVING communities and help others discover if these gated communities are for them. Golf resorts didn’t live up to your standards? Retirement property as good as you thought or better? Let us know! Thank you for taking time to write a review about this community. Community reviews help others determine whether the community is right for them. Did the sales staff go above and beyond? Really love the clubhouse or tennis court? Let us know here by writing your review! If you could sum up your review, what would you say in a sentence or less? How pleased are you with this community? What would you like to display your name as? We recommend your first name and last initial. Please tell us about you. The information below will NOT be displayed publicly. In order to prevent spam and to stay honest we ask that you please answer a few questions about yourself below. Please provide one of the following for us to be able to contact you in case of fraud.